Rapper Gucci Mane just lost a $270,000 battle in court — after a jewelry company in Georgia sued the rapper for stealing a buttload of diamonds … and won. A&A Diamonds retained attorney Vivian Uchitel (no relation) to file the lawsuit earlier this year in Henry County, claiming it loaned the rapper a $130,000 diamond pinky ring … in addition to a diamond necklace and bracelet worth $110,000. According to the lawsuit, Gucci had 15 days to pay for the goods or return them — and he did neither … coughing up only $40,000. A&A sued for a total of $274,523.34 — the $200,000 jewelry balance plus interest and attorneys’ fees. Gucci never showed up in court, so a default judgment was entered against the rapper in April. A lien was then placed on the rapper’s property. 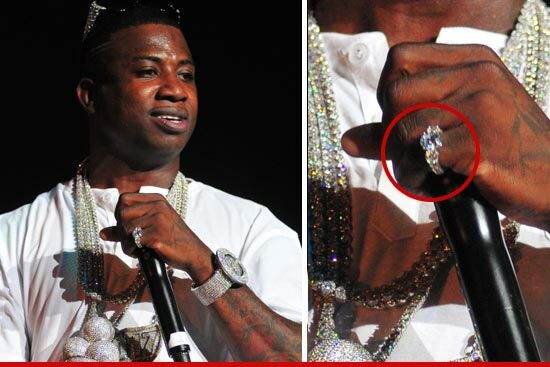 Gucci still hasn’t responded to the action.